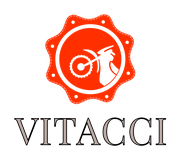 WELCOME TO VITACCI SITE TO VIEW OUR COLLECTION OF SCOOTER, CYCLES, ATVS, UTVS, AND GO KARTS. WE ARE EAGER AND ABLE TO SERVE YOU WITH THE BEST SERVICE THERE IS, A HUGE PARTS INVENTORY AND THE MOST KNOWLEDGEABLE STAFF YOU WILL FIND. OUR GOAL IS TO MAKE YOU HAPPY WITH YOUR PURCHASE. WE PROVIDE YOU WITH EXPERIENCED, DEPENDABLE SERVICE, AND RELIABLE ADVICE FOR NOVICE AND SEASONED RIDERS ALIKE. WE ARE COMMITTED TO THE QUALITY OF OUR SCOOTERS AND BIKES. STOP IN AND BROWSE OUR SHOWROOMS OR CONTACT US VIA PHONE OR E-MAIL. WE LOOK FORWARD TO DOING BUSINESS WITH YOU..! All material in this Website is, unless otherwise stated, the property of www.Vitacci.com. Copyright and other intellectual property laws protect these materials. Reproduction or retransmission of the materials, in whole or in part, in any manner, without the prior written consent of Vitacci, is a violation of copyright law. A single copy of the materials (pictures) available through this website may be made, solely for personal, noncommercial use. Individuals must preserve any copyright or other notices contained in or associated with them. Users may not distribute such copies to others, whether or not in electronic form, whether or not for a charge or other consideration, without prior written consent of Vitacci.